I think if I was to be limited to one brand of whisky to drink for the rest of my days, it would be Glenfarclas. There really isn’t a bad drop in the whole range. 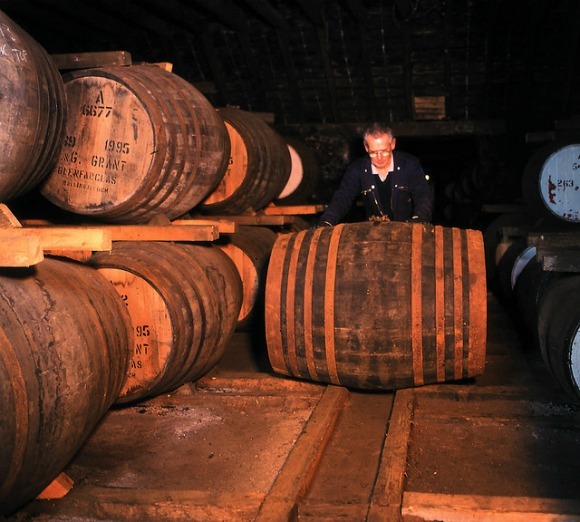 They invest in the best casks and produce tasty tasty whisky. They are not showy or flashy. They are just awesome. From the new-make (really fruity) right the way through to the 40 year old. Apart from their official range, another motivation for picking Glenfarclas is because of the ancient and wonderful casks they have in their warehouse. It’s an absolute treasure trove. After touring it and trying 30 or so casks, I can’t say I tried a bad one. Some of the stunning stuff they don’t release (because it is too different from the house style) is staggering. Glenfarclas in residual peat casks (didn’t try unfortunately), 30 year old port cask matured stuff (did try, brilliant). So much good liquid! 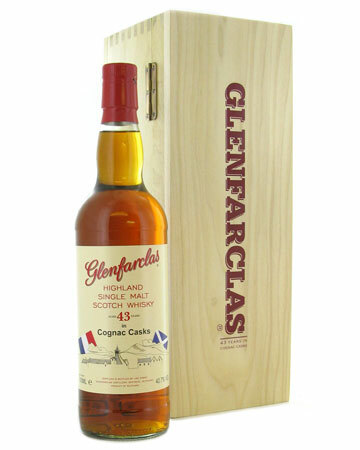 George told me this Glenfarclas Cognac Cask edition was coming out when we were driving up to the distillery last August.. I didn’t taste it that day, as I had other pressing business and many other casks to taste for Master of Malt’s Movember Whisky (hard life that I have). Nose: Caramel apples, apple Ribena, apricot, pineapple and banana. Really lively. Like fruit juice. Palate: Tangerine, banana, juicy, citrusy. Has that kind of aged Jameson juiciness that I love. Finish: Almost like a tawny port. Almondy, chocolatey, marzipan. I’m not adding water. I don’t want to change it in any way. Overall: This is brilliant, but is very different from other Glenfarclas’. The cask has had a huge influence on the liquid. It tears me, as I do think it is an excellent dram, but I miss the Glenfarclas notes. I love it though, and if I am to be limited to this brand for the rest of my life, maybe these unusual editions would keep it exciting. This entry was posted	on Wednesday, March 28th, 2012 at 1:13 pm	and is filed under Reviews. You can follow any responses to this entry through the RSS 2.0 feed. Responses are currently closed, but you can trackback from your own site.